How does an employee view their own PTO? Once logged in there is a PTO Summary button an employee can click on. You will then see your PTO calendar. 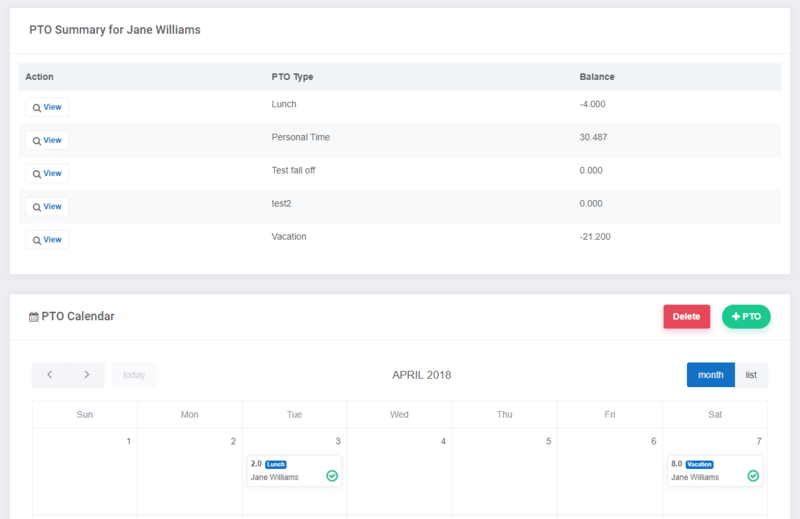 If using PTO Accruals, you will also see your balances above.